63a High Street (off Little Mount Sion) Tunbridge Wells Kent TN1 1XU. 01892 535252 or 07947 187986. You can contact us using the form below to request an appointment or for more information on any of our beauty and therapy treatments. We ask that you arrive 5 minutes prior to your appointment if you have not been to Serenity before. This is to ensure we can welcome you into the salon so you are able to benefit from the maximum time of your treatment. You will also be requested to complete a consultation card which allows our Therapists to design the optimum treatment to suit your needs. We regret that it may be necessary to shorten the length of your treatment by the time you are late. If you arrive more than 30 minutes late, we will treat this as a cancellation. All appointments over £100 require pre-payment. Clients who wish to cancel their appointment are kindly requested to give 24 hours notice, failure to do this will result in the full treatment charge. Please note – all treatments times are approximate and include changing time and drying time for manicures and pedicures. Prices are subject to change without prior notice. In order to create an account for you Serenity therapies needs to collect some personal information. We do so in accordance with the privacy legislation in this country. 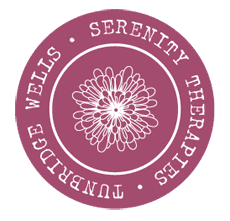 All personal information obtained is only used for Serenity Therapies we are required by our professional body to take personal details that are on our consultation form otherwise we are unable to treat you. We will not share any information without your knowledge.